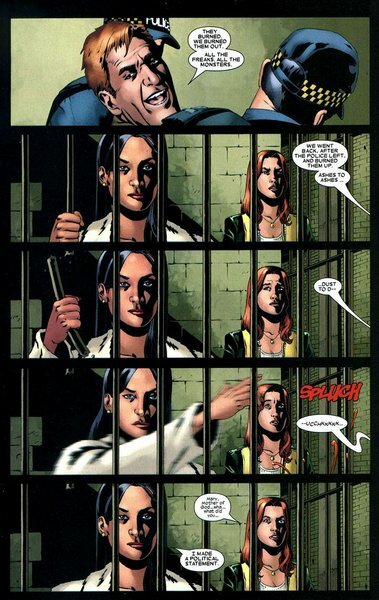 Banshee gets shot at and monet catches and returns the bullet, This also shows her high resistance to injury since the speed at which the bullet is traveling would tear through a normal hand. 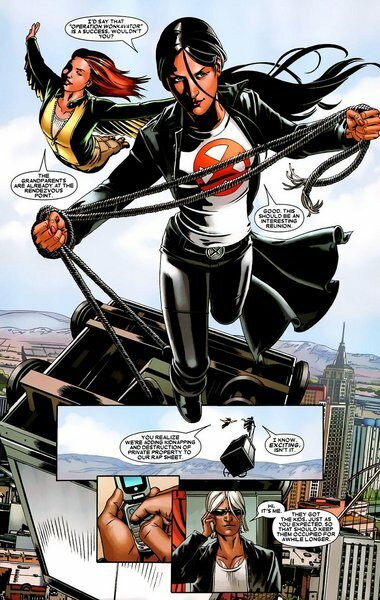 This also shows her superhuman reflexes and super strength, she rips open the Iron gates like nothing then intercepts bullets fired at her while her back is turned without turning around perfectly. Even her teammates are surprised by her speed. 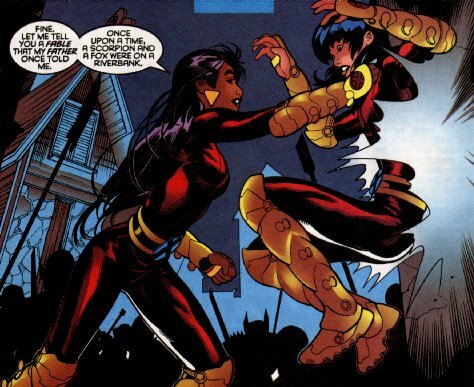 Here are a few panels where she uses her super strength to hold full grown adults with one hand. Here is my personal favorite strength feat, from the peter David X-Factor series. Monet carries an elevator with a full grown man inside easily as she flies. Here Monet confirms on panel that she is in fact invulnerable and proves it by being uninjured from Hulk’s assault while even colossus need to be healed. 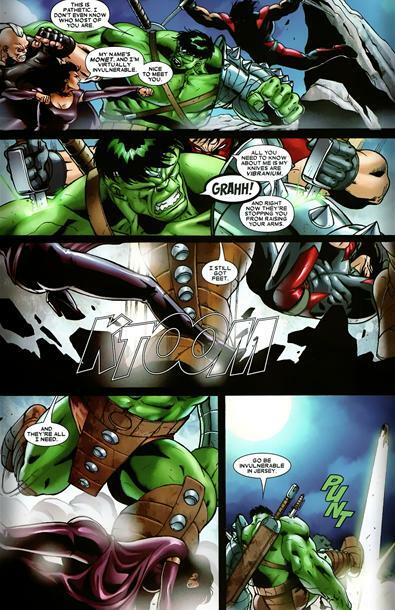 Interestingly Hulk saw her invulnerability as problem enough to remove her from the battlefield almost immediately. This is great…thanks a million.